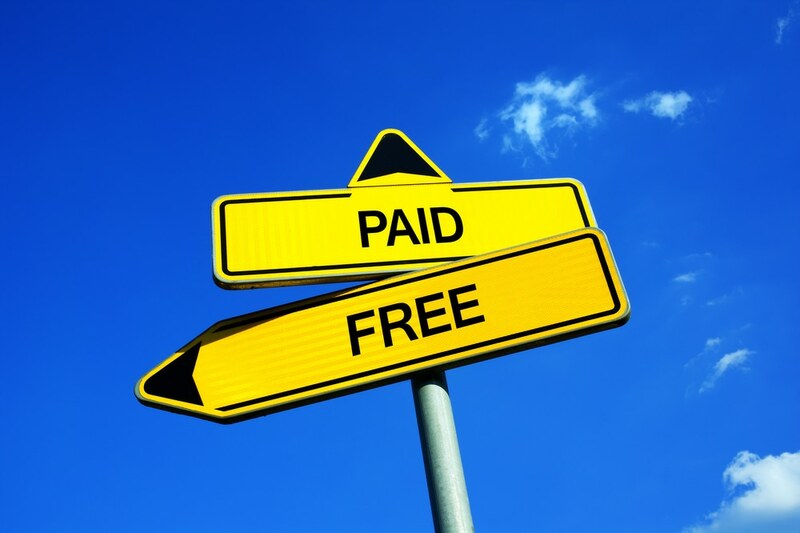 Advertising vs. content marketing – Can you make content so great that buyers would pay for it? Why not? Michelin, Red Bull and others do. When the advertising vs. content marketing debate surfaces, help senior managers become self-aware about their own behaviors as consumers of marketing. Which marketing messages do you seek out? Did you have a favorite teacher in school? Who? 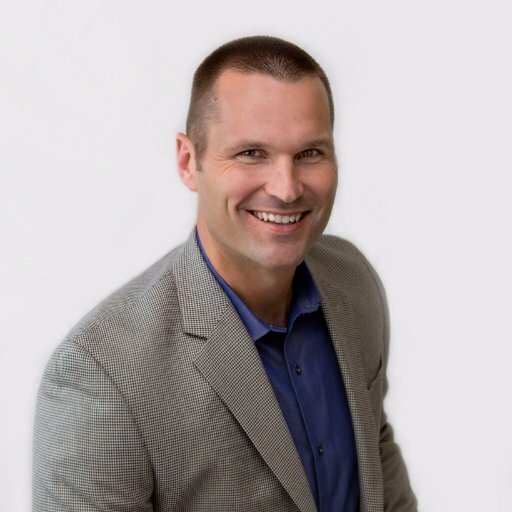 Do you have a favorite salesperson? (If yes) Why are they your favorite … was it because they taught you something? Advertising vs. content marketing: Marcus Sheridan advocates teaching, radical truth-telling and answering questions. 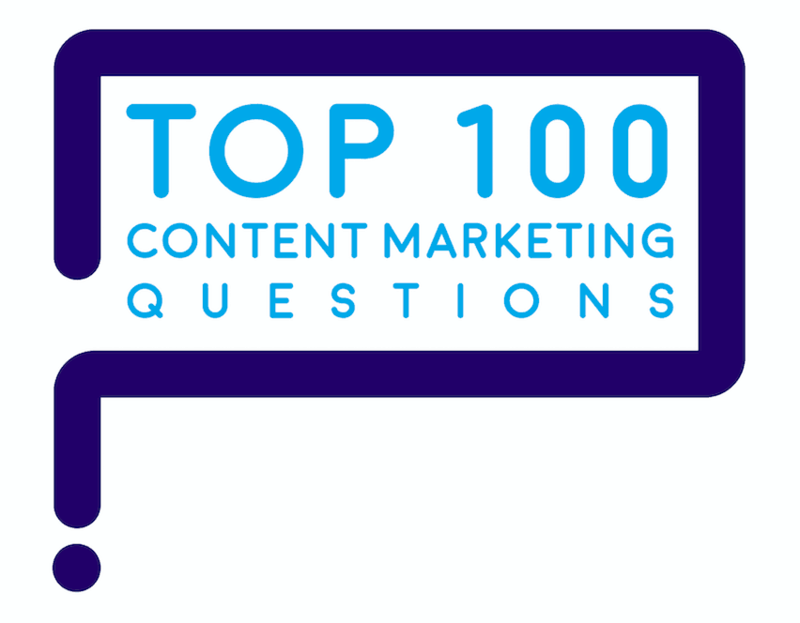 These questions are great conversation starters because they reveal the advantages of content marketing. When you buy a car, do you prefer a hard-sell or soft-sell salesman? Why? When your make a big purchase, how do you learn which product to choose? Do you use ad-blocking for pop-ups and banner ads? Do you use a junk mail or spam filter on your email? Do you ever throw away emails without opening them? 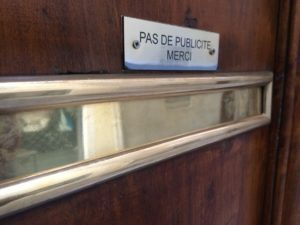 Do you ever throw away direct mail unopened? Think of the last social media ad you saw. Can you name the brand? Do you fast-forward through TV ads? Do you subscribe to a music service with no ads? Think of the last billboard you saw. Can you name the brand? That can help you level-set the discussion about where to make marketing investments – whether in advertising or content. 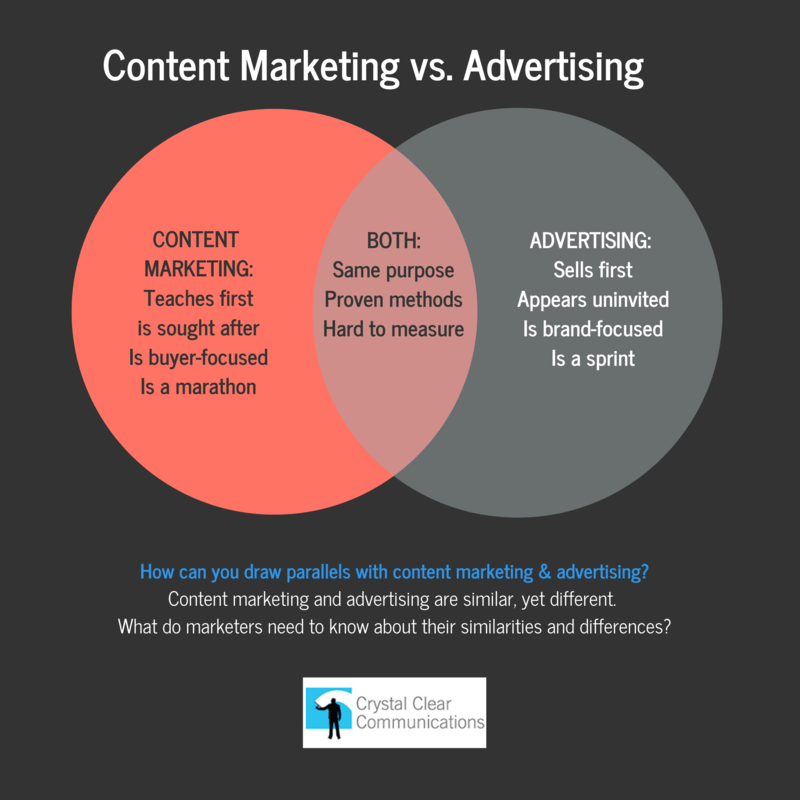 Content marketing vs. advertising: Here’s how they’re alike and how they differ. Here’s a blog full of insights on content marketing vs. advertising. A new twist on John Wanamaker’s question: can you fund content marketing by cutting wasted advertising? Now the analytics are good enough to tell what’s working and what’s not. But too many companies judge the effectiveness of advertising with a black box of analytics. That’s ok as long as you take enough time and care to understand what’s going on inside the algorithm. Here’s a cautionary tale from the world’s #1 advertiser, Procter & Gamble. P&G recently discovered that average view time for mobile Facebook news feed ads was only 1.7 seconds. Ouch! That discovery led P&G to cut its ad spend by $200 million. How could that happen to a marketing powerhouse such as P&G? Advertising vs. content marketing – How can you make content marketing that breaks through, instead of advertising that’s unwanted? That’s because people block, tune out and ignore unwanted messages – and their power to do so is increasing. In contrast, buyers seek out content marketing because it answers the questions and discusses the topics they care about. Imagine: making marketing that customers want. That’s why people willingly subscribe to blogs, download guides and watch videos to help them make informed buying choices. That’s why 26% of consumer marketing budgets and 40% of business-to-business marketing budgets go into content marketing, according to the 2018 Content Marketing Institute/Marketing Profs study. Consumers are even willing to pay for the best content: the Michelin Guide, the Red Bulletin, and the Guinness Book of World Records. In France, consumers can reject all direct mail by posting a “pas de publicite” sign. Ask: Who’d be willing to pay to watch your company’s advertising? Ask: What content would be so valuable that people would pay for it? Even if your company historically favors ads, shouldn’t it hedge its bets by investing in the kind of marketing buyers want? Leading marketers are figuring out how to transform marketing from a cost center into a profit center, making the pivot with content marketing. 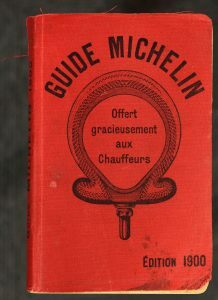 The Michelin brothers grew their market. How? 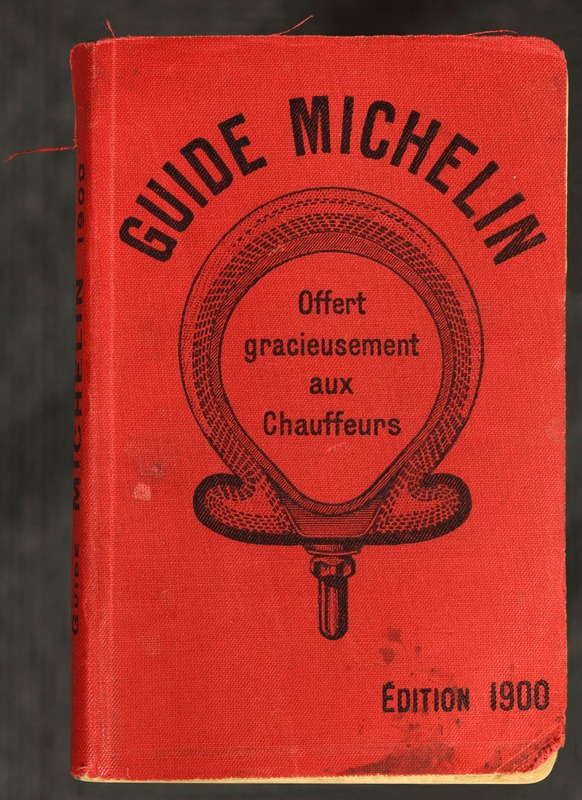 They printed 35,000 copies of the first Michelin Guide, when only 3,500 cars existed in France. Michelin, Red Bull and Arrow Electronics are leading the way, as Joe Pulizzi and Robert Rose discuss in their book, Killing Marketing. Out of all the marketing disciplines, only content marketing holds the potential to pay its own way! If you find content marketing overwhelming, here’s how to get started. You can succeed even with minimal resources for content marketing. 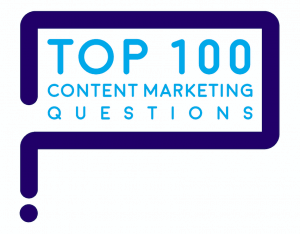 “With content marketing seemingly so overwhelming, how should one approach senior management to explain the focus that is needed, rather than trying to address content marketing only with ad spend?” is one of marketers’ Top 100 Questions about content marketing.